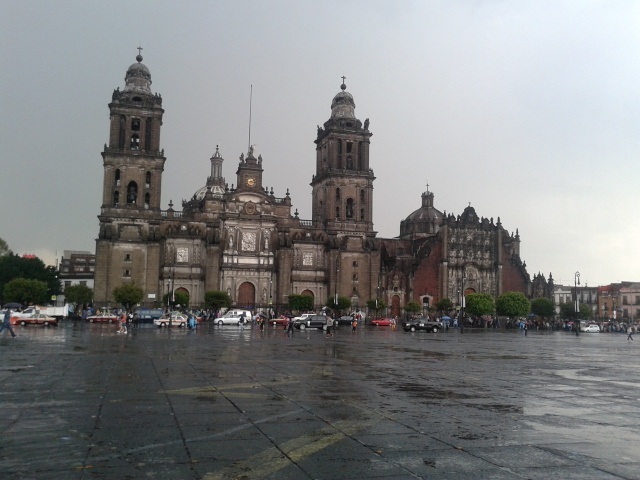 Mexico City is colossal. I spent around a week here in 2014 and totally loved it. 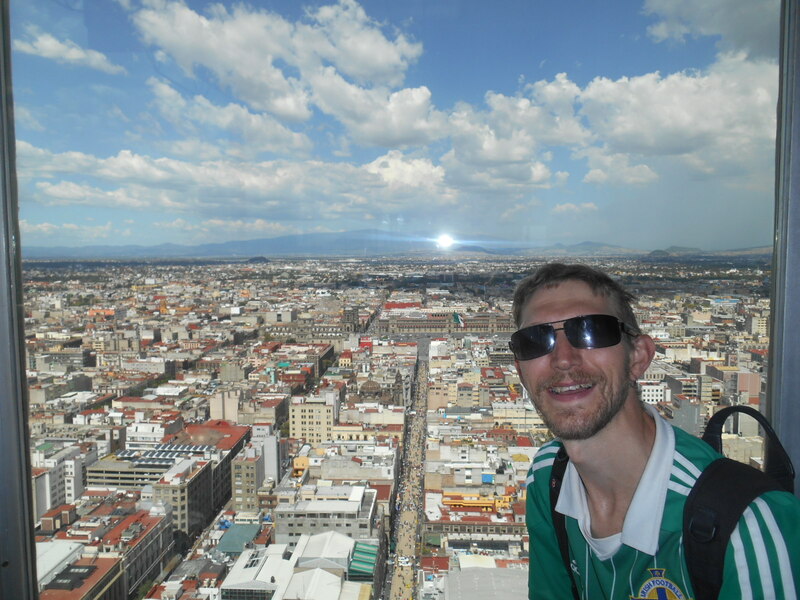 The smell of the food on every corner, my trip to the famous Azteca stadium and the chance to do some cool tours to places like Teotihuacan, Monte Alban, Mayan Riviera and many other ancient sites. As well as loving the Cantinas in the city, doing bar crawls by night and finding decent Mexico City hostels and Mexico Hotels, here are my personal top 5 sights in the city. If you’re travelling out with Mexico City, it’s worth checking out the Grand Mayan Riviera Maya or the Grand Luxxe Nuevo Vallarta (see here) for a bit of TLC. These types of resorts are popular with people who prefer a more relaxing experience. Here at the magnificent Azteca Stadium you can get the chance to do the Maradona. It was in this stadium in 1986 that Diego Maradona did the famous Hand of God goal against England. I did the full guided tour and loved it. This stadium has also been used twice for the World Cup Final – in 1970 for the Brazil 4-1 Italy match and again in 1986 for the Argentina 3-2 West Germany. 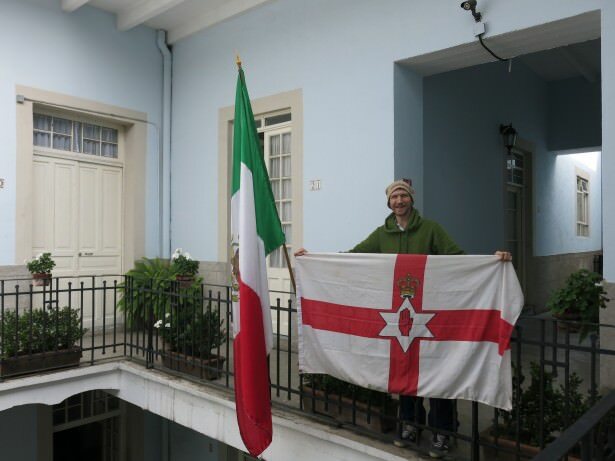 This means the stadium has been the home to 10 World Cup Final goals – more than any other city on planet earth. 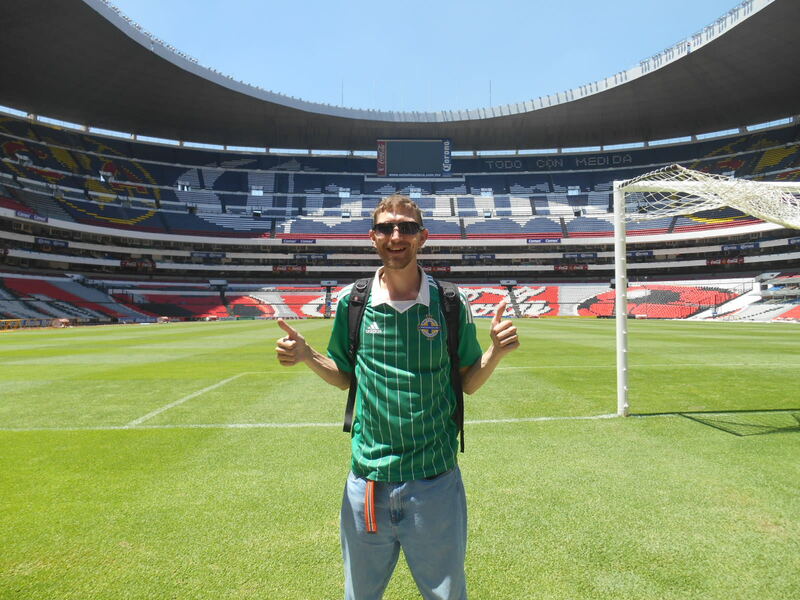 Pitchside at the Estadio Azteca. For a taste of the real Mexico, visit the stunning Tequila and Mezcal museum which takes you through the history and process for making both tequila and mezcal. At the end of the tour, you retire to the upstairs bar overlooking the square. It is here where you get samples of the finest Mexican tequila and mezcal. I loved it. 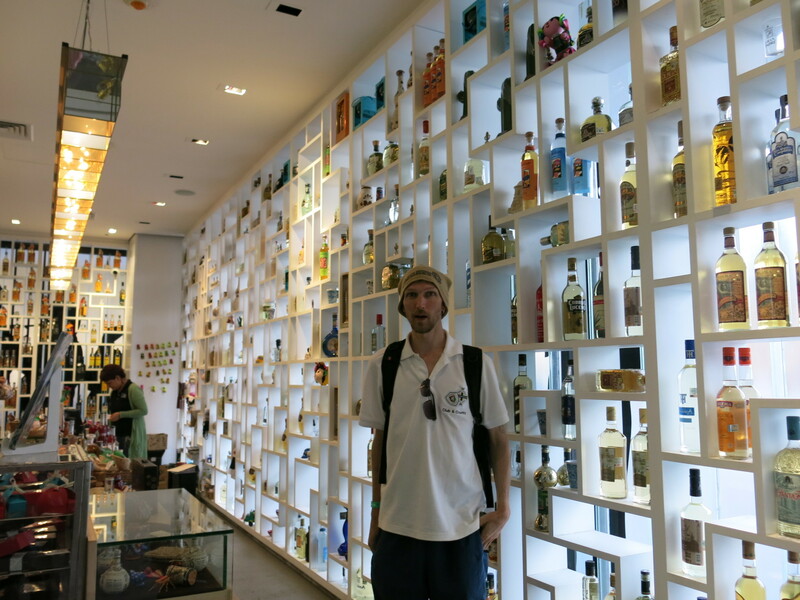 I was also shocked by the variety of different tequilas on offer here. Drinking Tequila in Mexico City!! The tallest building in Mexico City is the easily recognisable Torre Mayor, which offers stunning views over a colossal city. I took the lift to the top and spent a long time up there studying all parts of the city in amazement at how far back they go. Mexico and Northern Ireland flags in Casa San Ildefonso, Mexico City. 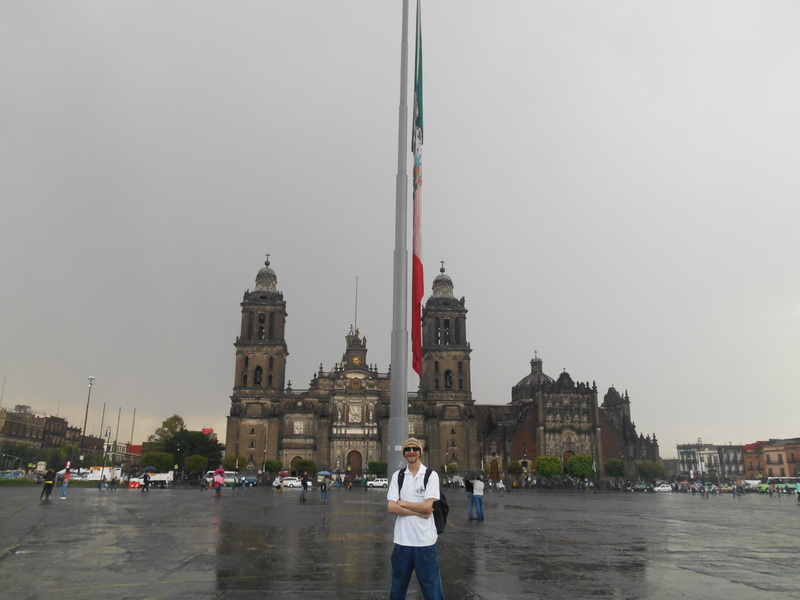 In the heart of the city, I loved Zocalo which is a huge square and the main square in Mexico City. This is where it’s all at. A large Mexico flag towers over a lively square, where there is a huge church, many government buildings and lots of nearby bars and restaurants to feast yourself on top notch Mexican food. 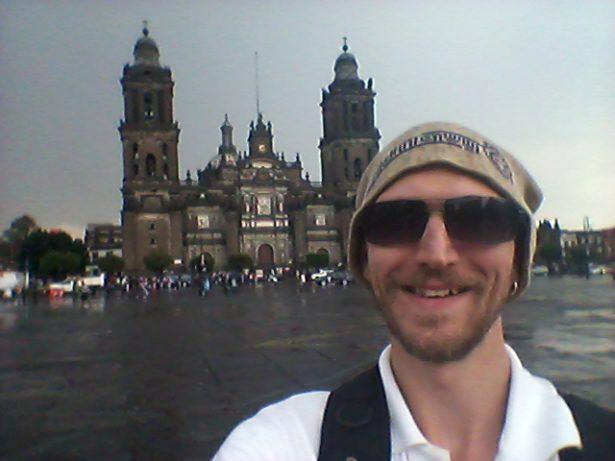 Backpacking in Mexico City – Zocalo! 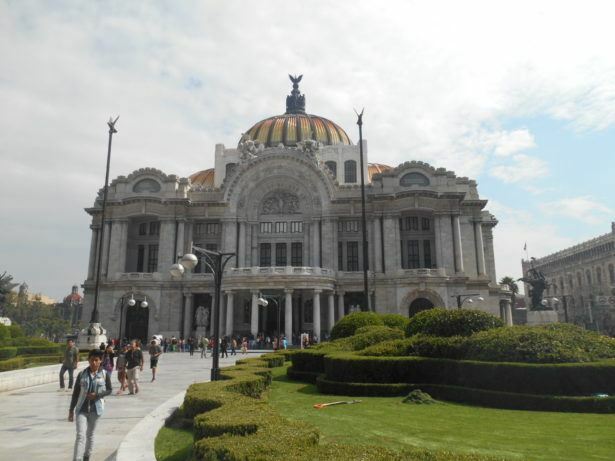 This magnificent theatre in the heart of Mexico City is well worth checking out, both the exterior and the interior of the building. A distinctive golden dome dominates proceedings, while there is also a chance to catch an art display, a show or one of the many events organised by the theatre. So those are for sure my top 5 sights in a huge city, often cited as the world’s most populated. 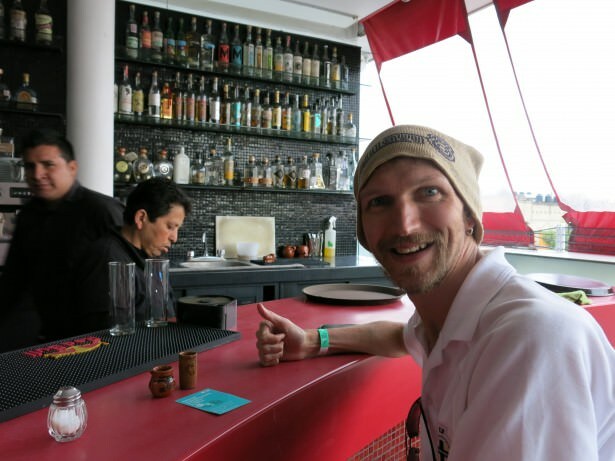 I love the cosy Cantinas and bars too – great food and I miss the beer with lime there. 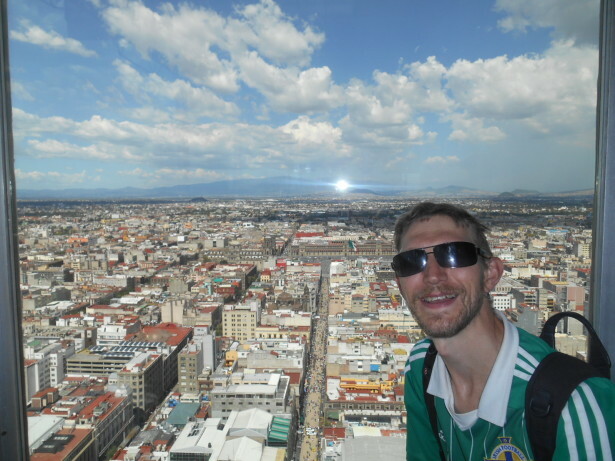 After exploring Mexico City, we headed by bus to the charms of Oaxaca and then onwards to the south to places such as Palenque and San Cristobal de Las Casas. This entry was posted in Destinations, Mexico, Mexico City, North America. Bookmark the permalink.